According to a recent news article from Houston Chronicle, a world-renowned surgeon from Harvard University is leaving Massachusetts to help start a new lung institute in Texas. This surgeon will be heading a team of over 80 doctors put together to treat serious lung conditions including asthma and cancer. He will be using gene-based techniques to treat patients. He is known as a world-leading expert in treatment of mesothelioma. He credits this recognition to his vast experience in seeing patients suffering from the deadly asbestos-related cancer due to Boston’s once burgeoning ship building industry. Asbestos was used heavily in many aspects of the maritime industry and caused many workers to develop mesothelioma. One reason asbestos was so common at shipyards is because a fire at sea is one of the biggest fears among sailors, because there is not where to go if a fire starts on a boat. It’s not like you can evacuate a boat at sea in rough weather. Asbestos is cheap and naturally resistant to heat, fire, electricity, and caustic chemicals. It has been used in fabricated components, joint compounds, and insulation. Asbestos was very commonly used as pipe insulation whereby sheets of the material were woven into fibers and wrapped around hot pipes to keep the heat in and prevent burns. However, this form of asbestos is one of the most dangerous, as it can be crumbled under the power of a human hand. Once the asbestos can be crumbled, it is called friable asbestos. The fibers can be released into the air at this point and be inhaled by workers and those in the area. Once the fibers are inhaled, they can develop into a deadly cancer of the lungs, stomach lining, and chest known as mesothelioma. Mesothelioma injury lawyers in Boston also a great deal of experience dealing with tragic effects of the deadly illness due to the higher than average number of cases in our area than areas without a ship-building history. The article noted this surgeon also expects a larger than average number of mesothelioma cases in Houston due the once great ship-building industry there related to oil production and shipping. 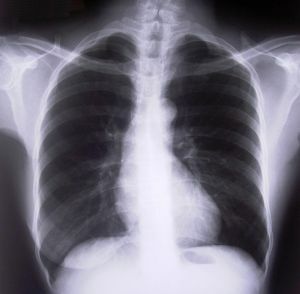 One of the hardest aspects of mesothelioma injury lawsuits is proving which company, or companies, is responsible for plaintiff’s actual asbestos exposure. While there is no denying mesothelioma is extremely rare absent asbestos exposure, there were so many companies making the deadly material during much of last century that it can become difficult to identify the exact source of plaintiff’s exposure. The best thing you can do to help your asbestos attorney is to figure out when and where your exposure occurred. One way to do this is to start by writing down your compete work history. You should also try to remember where your parents and any other relatives living with you as a child worked. This is because asbestos not only affected workers, but also their families when they would come home after work covered asbestos dust or debris from the job site.